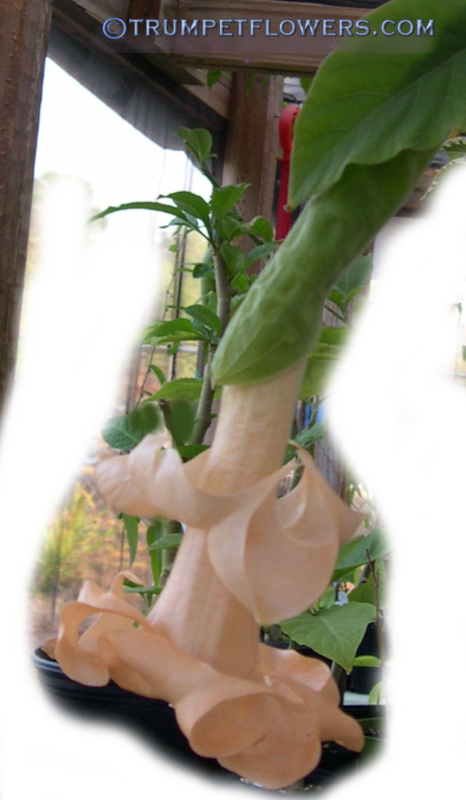 Brugmansia Naughty Nick was created by Brenda Delph.Naughty Nick is a brugmansia that blooms white and peach, to deep peach. Angel Trumpet Naughty Nick is parented by Creamsickle X Rosamond by Brenda Delph. Published in 2007. And if you like a large brugmansia, Naughty Nick is a big tree. Mine constantly rocket upwards of 10 feet in just over a year. If I kept one in the ground, it would most likely reach over 20 feet in about 3 years or so. The leaves of brugmansia Naughty Nick are large, a bit oblong in shape, and furry. 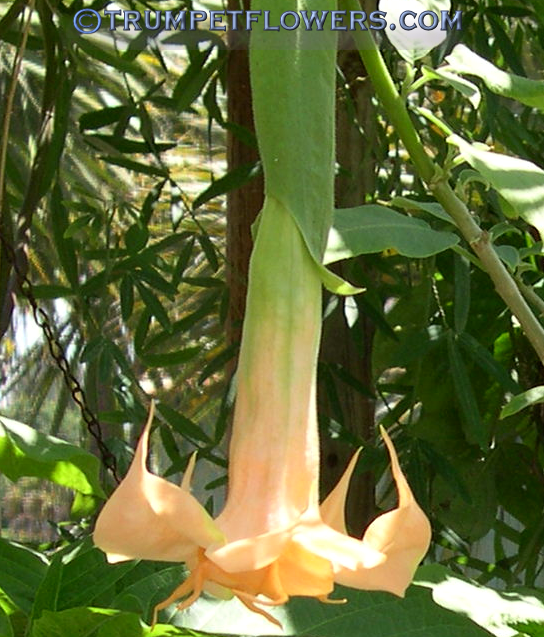 This entry was posted on January 6th, 2012 and is filed under Brugmansia Gallery.